You may have completed your studies in the field of dentistry and received your degree, but you must first obtain a license from the Florida Board of Dentistry before you can commence your practice. The Board of Dentistry oversees the issuance, renewal, and revocation or suspension of licenses for dentists (as well as for hygienists). The Board’s own website says this is done “to ensure that every dentist and dental hygienist practicing in this state meets minimum requirements for safe practice.” Just as the Board actively monitors and disciplines dentists so as to protect the public, you need the Tampa dentistry license lawyers at Law Offices of David P. Rankin, P.A. to advocate on your behalf and assist you in resolving issues relating to your license so you may focus on building and maintaining your practice. Practicing dentistry in Florida without the appropriate license can lead to serious and harsh sanctions. For some would-be dentists, however, obtaining and then maintaining that important license may not be an easy task. If the Board does not believe a dentist seeking licensure has satisfied the appropriate prerequisites or for some other reason does not believe continued licensure is in the public’s and/or the profession’s best interest, that dentist’s career is in jeopardy. Responding appropriately to disciplinary complaints and investigations. In providing you with personalized assistance and counsel, the Law Offices of David P. Rankin, P.A. focuses on the substance of your licensing issue and devises a course of action designed to resolve your licensing matter as quickly and inexpensively as possible. 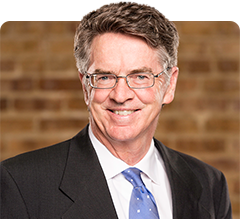 With over 30 years of experience on both sides of professional licensing and disciplinary proceedings, attorney David P. Rankin is skilled in helping dentists address issues affecting the status of their licenses with the Board of Dentistry in the most efficient manner possible. Do Dentists with Pending License or Disciplinary Matters Need an Attorney? While no law or regulation in Florida requires dentists to appear before or petition the Board of Dentistry with legal counsel, doing so with an attorney who is well-versed in the laws and regulations impacting the licensing of dentists and practice of dentistry can significantly improve the chances of a favorable decision or result from those proceedings. This, in turn, saves you time and resources and allows you to focus on continuing your practice. You can reach the Law Offices of David P. Rankin, P.A. by phone at (813) 968-6633 or online to schedule a consultation with Tampa dentistry license lawyer David P. Rankin in order to discuss your professional licensing or disciplinary matter.